Traditional antivirus simply is not enough to fight the advanced, targeted attacks being used today. So how do you fight back? What type of solution do you need to prevent the dramatic loss that can rampage through your company? So what is next-generation antivirus (NGAV)? 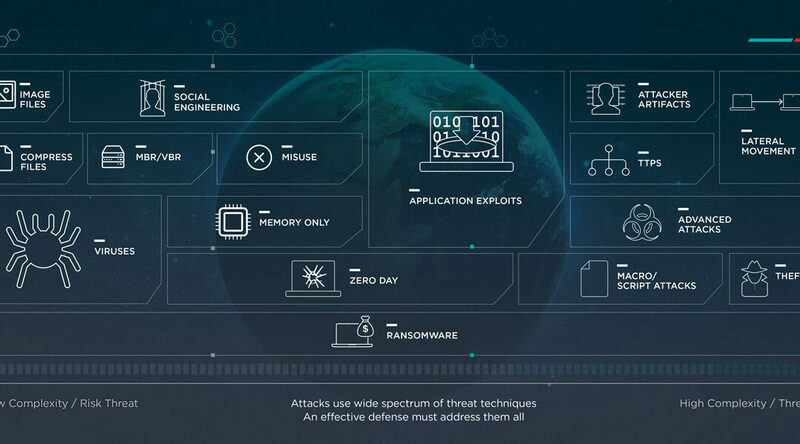 NGAV is the evolution of traditional antivirus software, created to fill the gapping hole left by traditional AV tools by protecting against the entire scope of cyber attacks through advanced endpoint protection (AEP). How does NGAV stack up to traditional AV? Traditional AV software works through a database of known malware characteristics. They scan the files and directories on an individual computer or device, comparing them with the information in their database. Once contaminated files or programs are detected, the AV will prevent them from running and either automatically remove them or alert the user to do so. This solution can be effective against known malware—as long as the database is current and the antivirus version is kept up-to-date. However if new variations or strains of malware are created (and over three hundred thousand are reported each day), a traditional AV tool has no way to keep up, leaving your business open to these unknown risks. On the other hand, NGAV can fight back against both known and unknown threats, because they are not dependent on signatures or a database of malware characteristics. At the core, NGAV leverages more than the indicators of compromise (IOCs) and metadata like virus definition databases and signatures, IP addresses, or URLs. This technology must use advanced data, like AI and machine learning, to detect new unknown variations and strains of malware. A true NGAV needs to automatically block threats on the endpoint before they’re able to execute—and do it without user intervention. Many traditional solutions require a cloud connection and are useless without them. A NGAV needs to operate independently without a cloud connection so it can protect even offline devices. It should be easy for your NGAV to be integrated with your existing infrastructure, demanding few resources from your computer or device. NGAV is the next step (and a good one) in the direction of greater endpoint security, keeping advanced attacks out of your systems. However, it still faces challenges, some similar to traditional AV. NGAV still looks for specific attributes that it associates with potential threats. It is unable to account for attacker behavior, looking solely for specific characteristics to detect an attack. This leaves it open for attackers to adapt their future tactics in a way that makes them undetectable even by the next-gen solutions. While a NGAV is still the best option in the current state of technology, that doesn’t mean it’s enough since it still cannot offer true behavioral analysis. NGAV is focused on preventing attacks, and it does that very well. However, in the event that an attack makes its way onto the network, the NGAV offers little visibility into what happened or where the threat moved on the network. This is especially true as advanced attacks continue to use legitimate means such as compromised employee logins to make their way onto the network. Prevention is only one piece of the puzzle. Businesses needs technology to detect and remediate attacks that have made it past their defenses, something that an NGAV lacks.